Click here to see the most defining moments in Kennedy’s life. Click here to see which of Kennedy’s speeches are among the best in American history. Today we remember a dark episode in our Nation’s history, and we remember the leader whose life was cut short 50 years ago. John F. Kennedy dedicated himself to public service, and his example moved Americans to do more for our country. He believed in the greatness of the United States and the righteousness of liberty, and he defended them. On this solemn anniversary, Laura and I join our fellow citizens in honoring our 35th President. …But second-term stumbles could be the mark of a bright future, according to Princeton University history and public affairs professor Julian Zelizer. In this episode of Capital Download, This Week with Susan Page, award-winning presidential historian Robert Dallek talks about the difficult week President Obama has faced and how this could be an example of the second-term “curse. Is there a second-term curse? 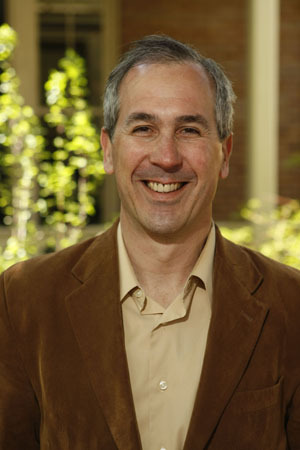 Historian Robert Dallek thinks there just might be — and President Obama’s current travails could be the latest example. 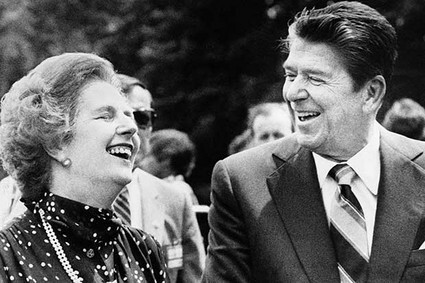 President Ronald Reagan and Britain’s Prime Minister Margaret Thatcher were “political soulmates,” Nancy Reagan once said. Meet the 16 men who have been elected to serve consecutive terms as president. 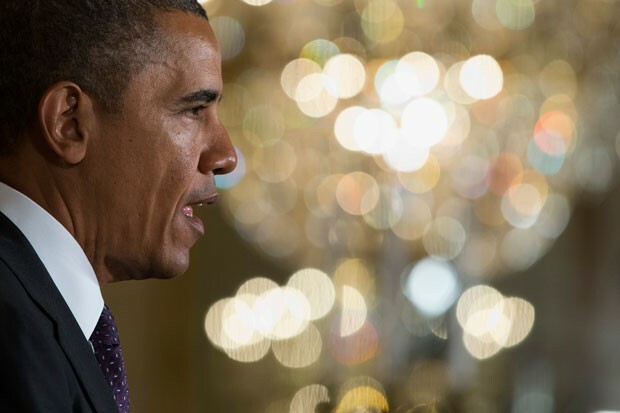 When he retakes the oath of office Monday, President Barack Obama will join an exclusive club. Obama becomes the 16th of the nation’s 44 presidents who’ve been re-elected to serve as commander-in-chief for two consecutive terms…. 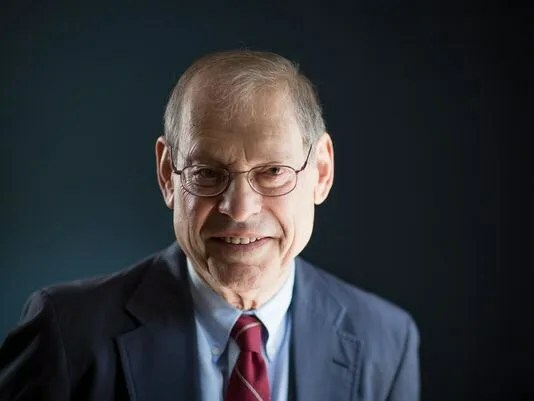 “Nowadays the problems are great and Americans are more inclined to blame presidents, especially for a bad economy, than they would a hundred years ago,” explains Michael Beschloss, presidential historian and NewsHour regular…. “[Richard] Nixon felt that the difference between a re-elected president in history and a one-term president in history was so great that he felt compelled to authorize the excesses that led to the Watergate scandal,” Beschloss says…. “Sometimes you wonder why presidents would like to have a second term when you realize from FDR on, [they] have almost consistently had some very horrible experiences after winning re-election,” Beschloss says. Collectively, Doris Kearns Goodwin, Robert Caro, Michael Beschloss, and Douglass Brinkley have written more than a dozen popular and thoughtful books about American presidents ranging from Abraham Lincoln to John F. Kennedy, Theodore Roosevelt to Ronald Reagan. They’ve won Pulitzer Prizes, the National Book Award, and even an Emmy. So we asked them to sit down and discuss the historical significance of a Presidential Inauguration and what it means for President Obama to begin second term. 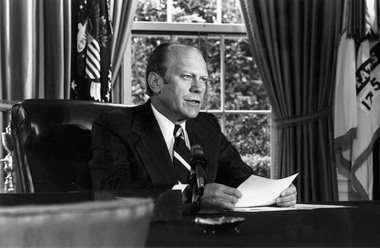 The decision by Grand Rapids native and former President Gerald R. Ford to pardon his disgraced predecessor after the Watergate scandal has put him in the pantheon of great presidents. 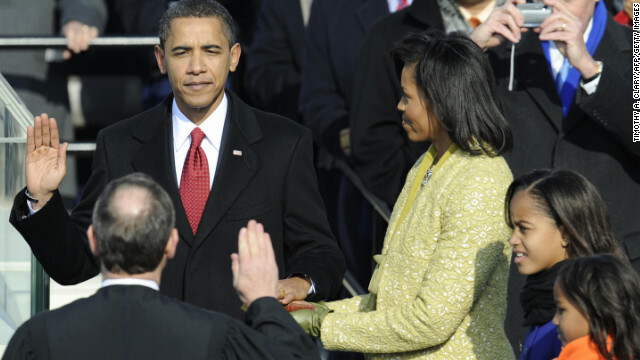 Barack Obama is sworn in as the first African-American president of the United States on January 20, 2009. 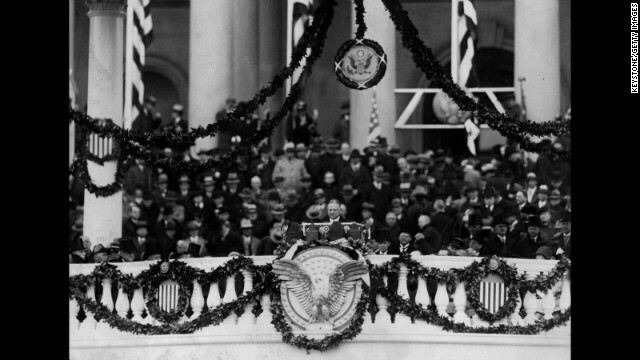 Pulitzer Prize-winning presidential historian Doris Kearns Goodwin notes each inauguration is moving in its own way, but only a few produce moments that are truly memorable. 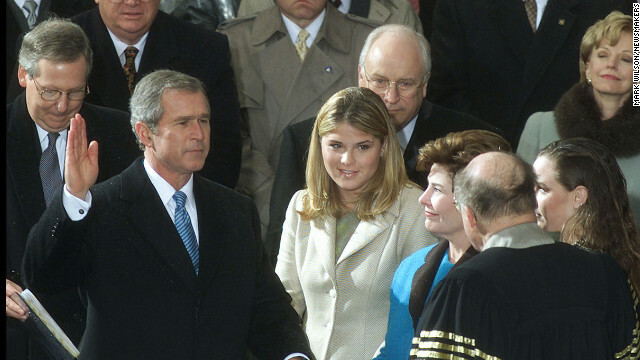 George W. Bush stands next to his wife, Laura, and his two daughters at his second inauguration on January 20, 2005. 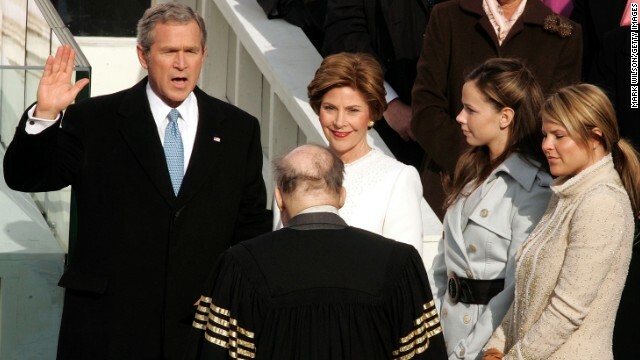 George W. Bush is sworn in for his first term on January 20, 2001. 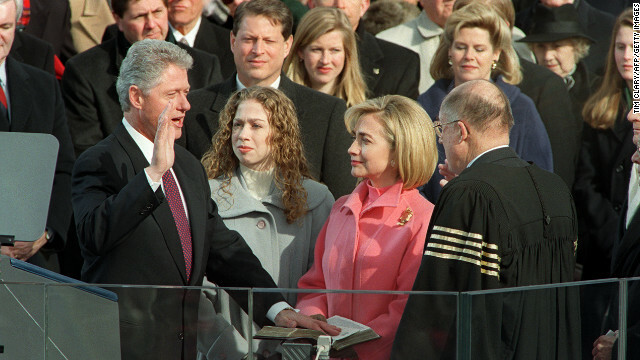 Bill Clinton is sworn in for the second time on January 20, 1997. 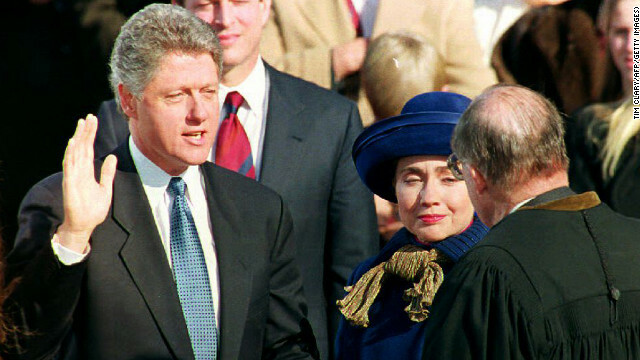 Bill Clinton takes his first inaugural oath on January 20, 1993. 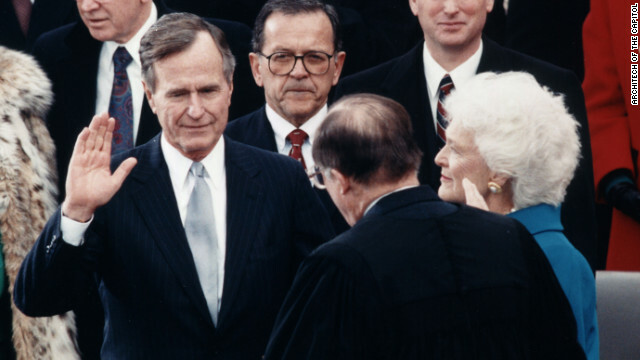 Chief Justice William Rehnquist administers the oath of office to President George H. W. Bush on January 20, 1989. 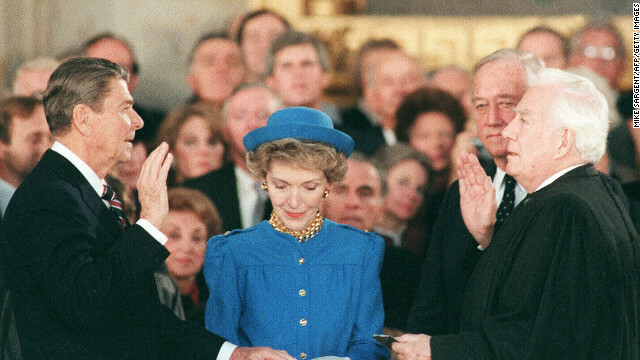 Ronald Reagan is sworn in on January 21, 1985, at the U.S. Capitol for his second term by Supreme Court Chief Justice Warren Burger. 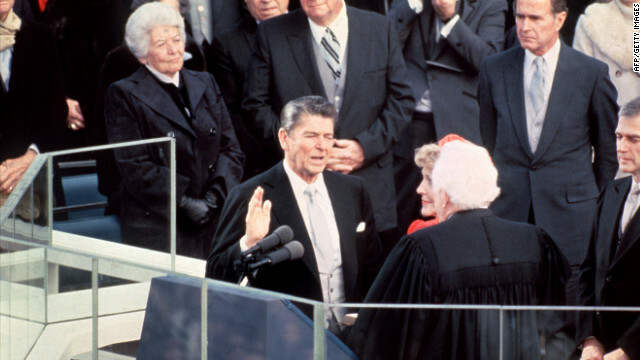 Ronald Reagan is sworn in as 40th president of the United States on January 20, 1981. 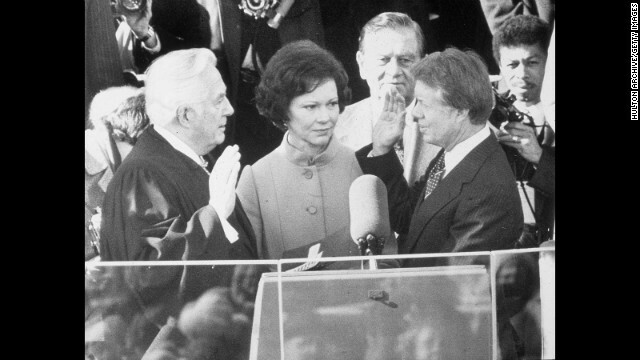 Jimmy Carter is sworn in on January 20, 1977. 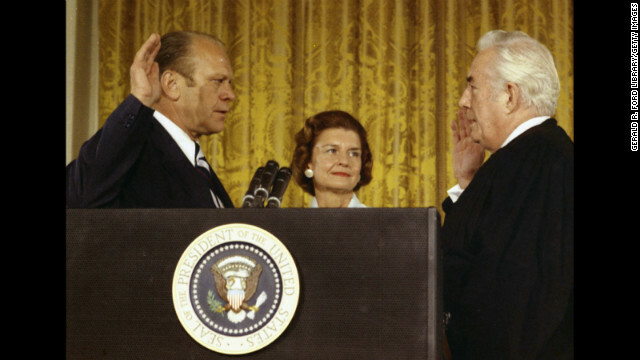 Supreme Court Chief Justice Warren Burger swears in Gerald Ford on August 9, 1974, after the resignation of President Richard Nixon. Chief Justice Warren E. Burger administers the oath of office to Richard M. Nixon for his second term at the U.S. Capitol, January 20, 1973. 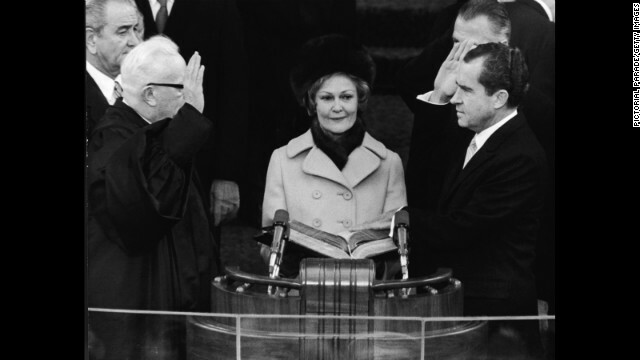 Richard Nixon takes the oath of office as he is sworn in as the 37th president of the United States on January 20, 1969. 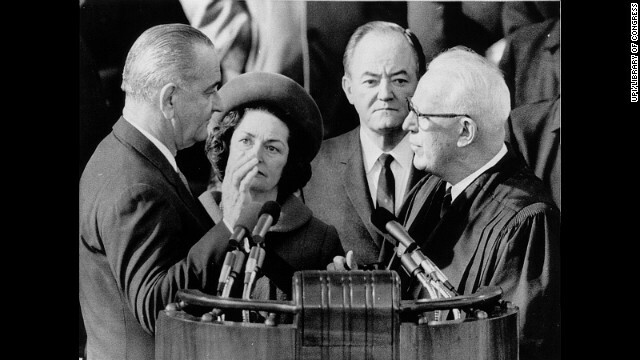 Lyndon B. Johnson, left, is sworn in for his second term by Chief Justice Earl Warren on January 20, 1965. 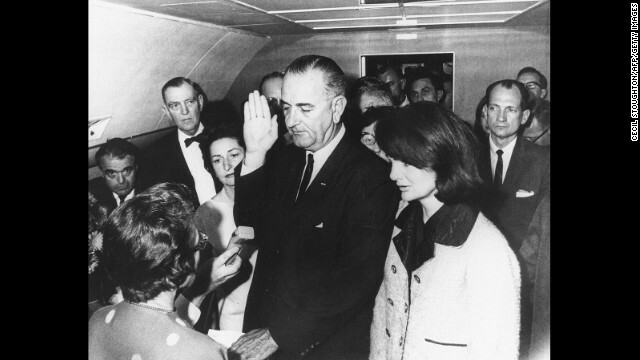 Lyndon B. Johnson takes the oath of office on November 22, 1963, after the assassination of President John F. Kennedy. Kennedy’s widow, Jacqueline, stands at Johnson’s side. U.S. District Judge Sarah T. Hughes swore in Johnson on Air Force One. 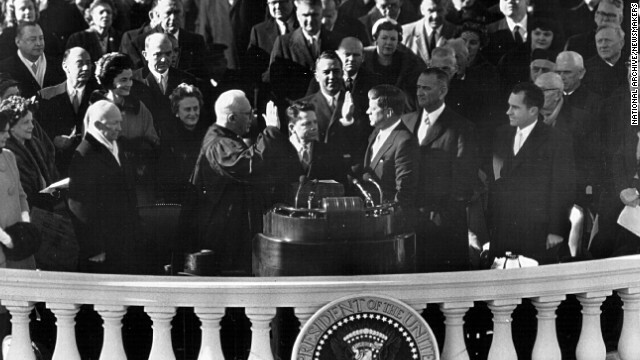 John F. Kennedy is sworn in on January 20, 1961. 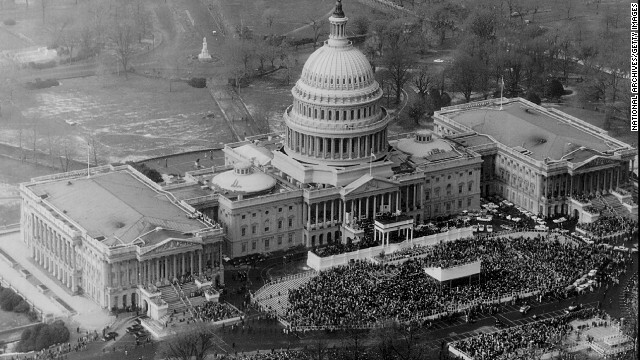 A crowd gathers outside the U.S. Capitol for Dwight D. Eisenhower’s second inauguration on January 20, 1957. Dwight D. Eisenhower takes the oath of office on January 20, 1953. 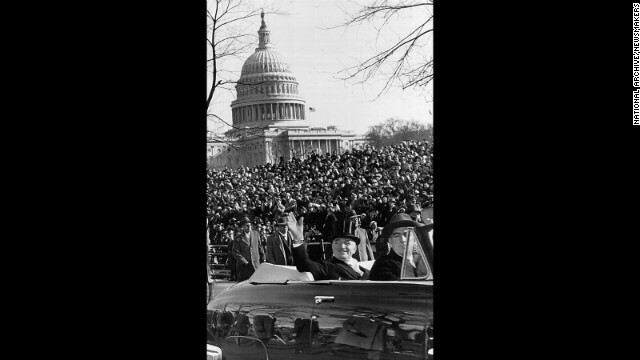 President Harry S. Truman waves to the crowd from a car during a parade after his inauguration speech on January 20, 1949. 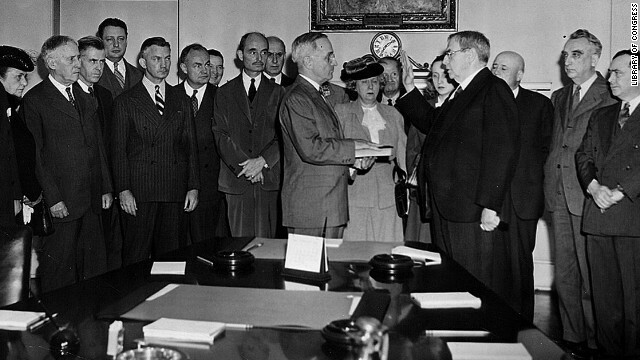 Chief Justice Harlan F. Stone administers the oath of office to Harry S. Truman in the Cabinet Room of the White House on April 12, 1945, after death of President Franklin D. Roosevelt. 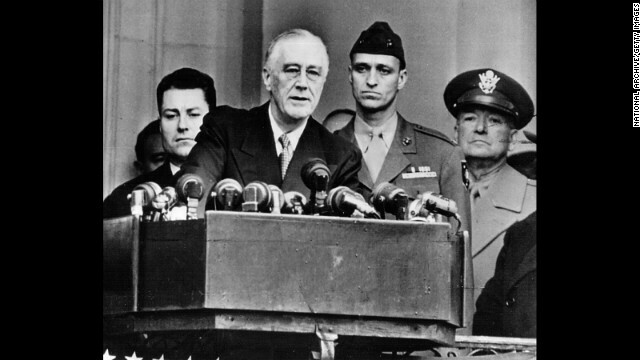 Franklin D. Roosevelt delivers his fourth and final inauguration speech on January 20, 1945. He was the last president allowed to hold more than two terms. 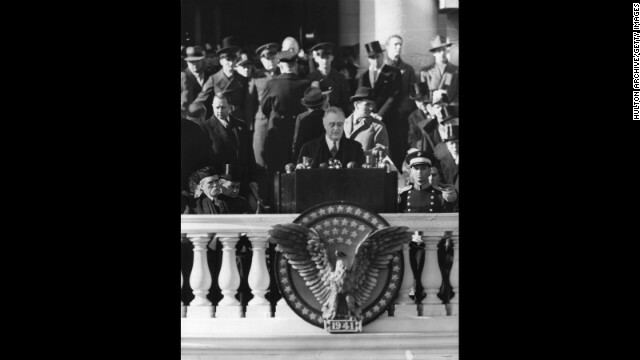 Franklin D. Roosevelt gives his third inaugural address on January 20, 1941. 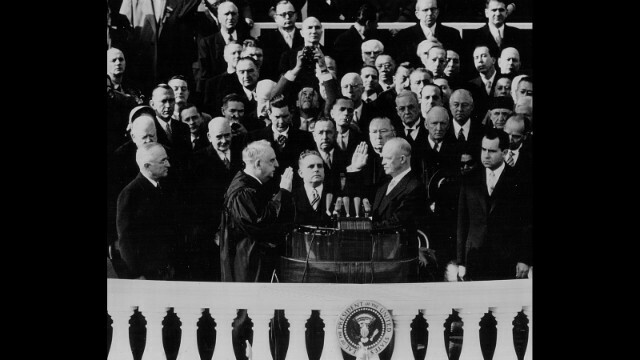 Chief Justice Charles Evans Hughes Sr. administers the oath of office to Franklin D. Roosevelt for his second term on January 20, 1937. 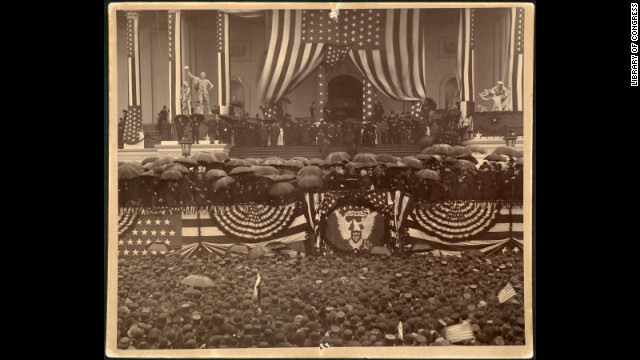 This marked the first January event; before this, inaugurations were traditionally held in March. 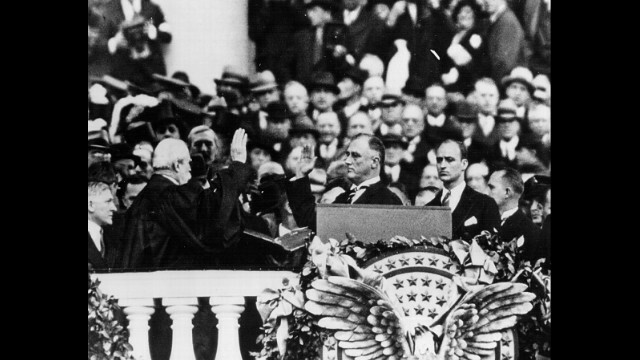 Franklin Delano Roosevelt is sworn in for his first term on March 4, 1933. 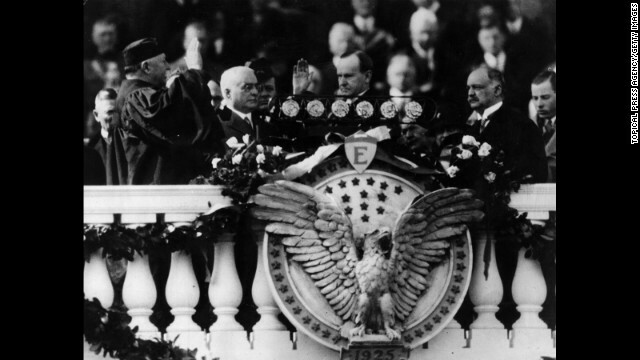 Herbert Hoover’s inauguration is held on March 4, 1929. 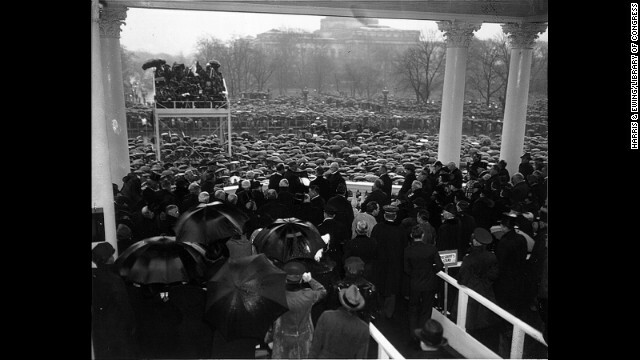 Calvin Coolidge is sworn in for his second term on March 4, 1925. Calvin Coolidge is given the oath of office by his father, Col. John Coolidge, in Plymouth, Vermont, on August 3, 1923, after the death of President Warren G. Harding. 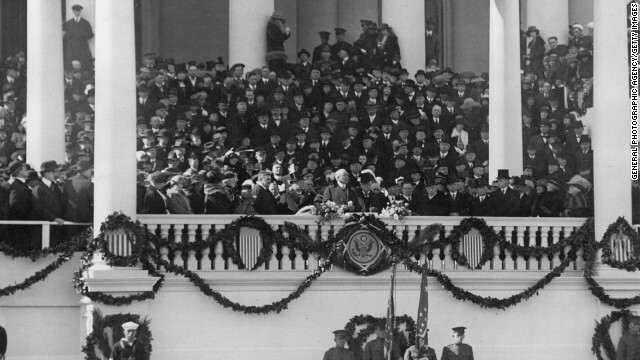 Warren G. Harding is sworn in on March 4, 1921. 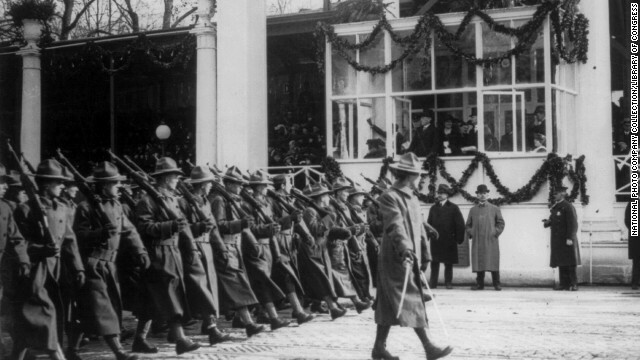 Soldiers pass the viewing stand during the inaugural ceremony for Woodrow Wilson’s second term on March 4, 1917. 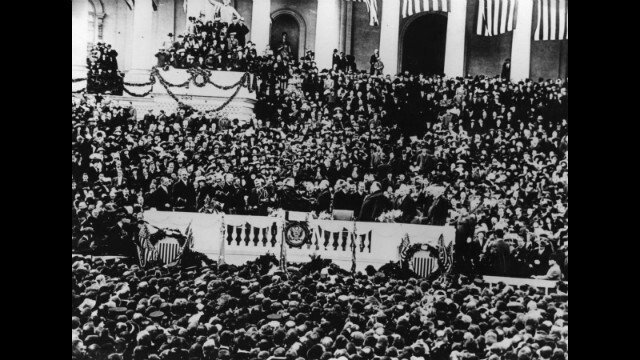 Woodrow Wilson’s first inauguration was held on March 4, 1913. 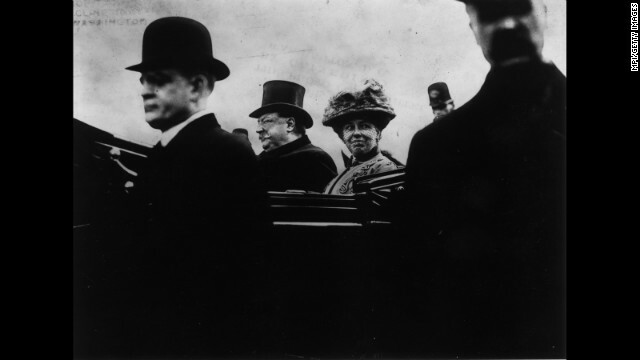 William Howard Taft was inaugurated on March 4, 1909. 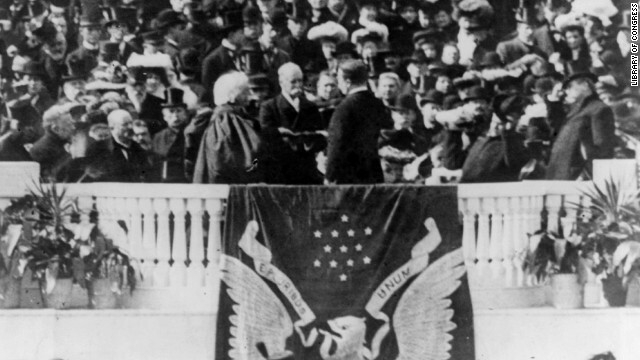 Theodore Roosevelt takes the oath of office for his second term on March 4, 1905. 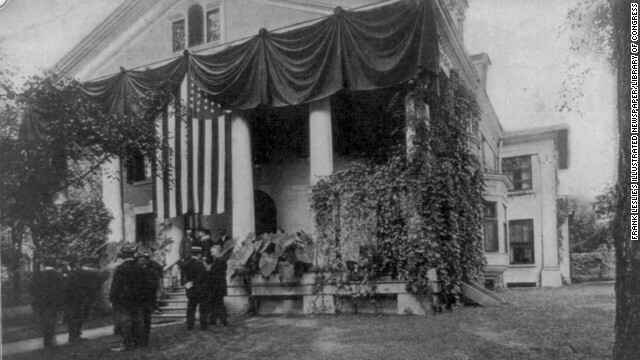 Theodore Roosevelt takes the oath of office in Buffalo, New York, on September 14, 1901, after the assassination of President William McKinley. 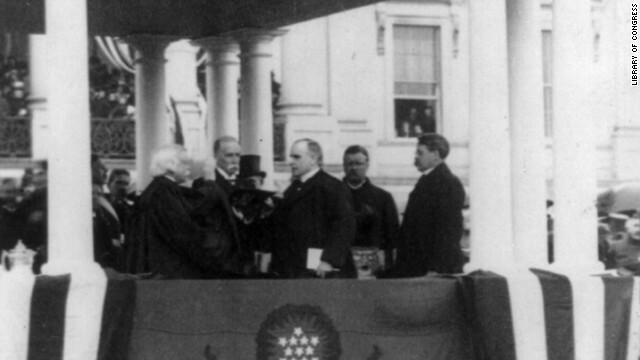 Chief Justice Melville Fuller administers the oath of office to President William McKinley for his second term on March 4, 1901. 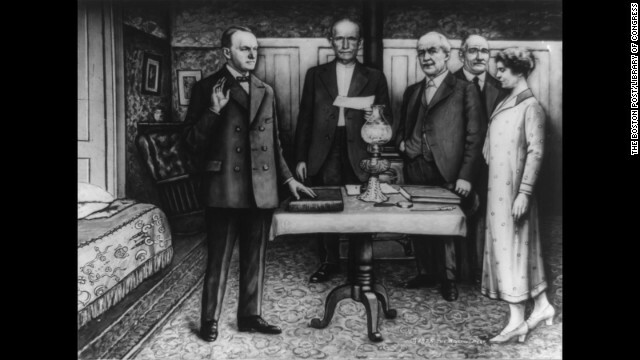 William McKinley takes his first the oath of office on March 4, 1897. 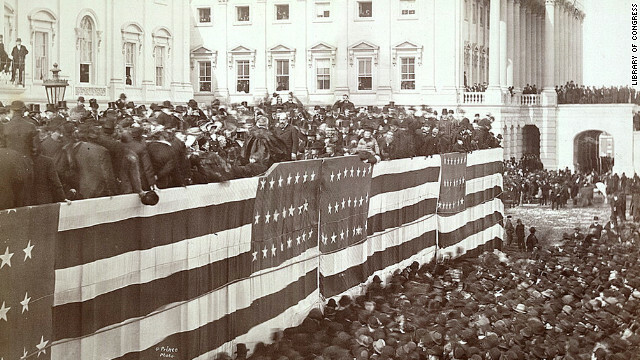 Grover Cleveland’s second inauguration is held on March 4, 1893. 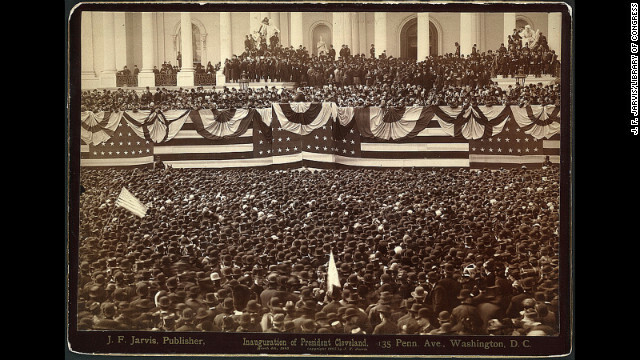 Chief Justice Melville W. Fuller administers the oath of office to Benjamin Harrison on the east portico of the U.S. Capitol on March 4, 1889. Harrison served between Cleveland’s two terms. 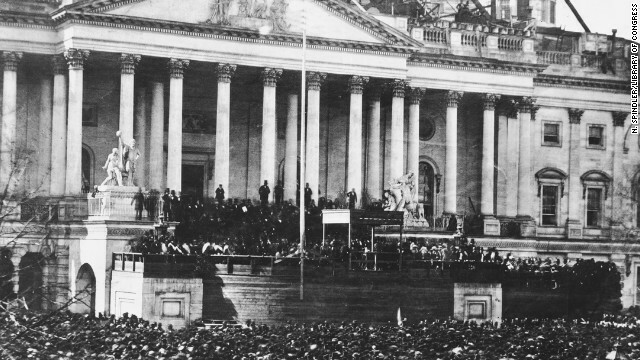 Grover Cleveland delivers his first inaugural address to the crowd on the east portico of U.S. Capitol on March 4, 1885. 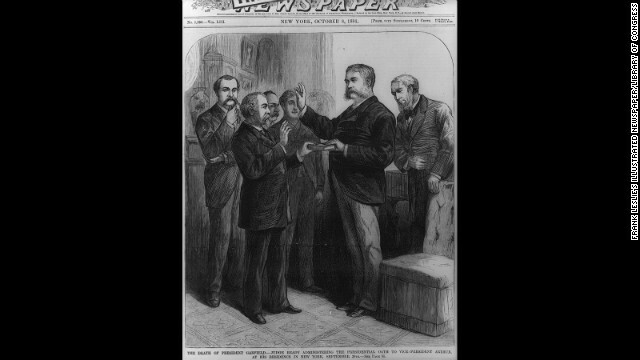 New York Supreme Court Justice John R. Brady administers the oath of office to Vice President Chester A. Arthur in a private ceremony in Arthur’s residence in New York on September 20, 1881, after the assassination of President James A. Garfield. 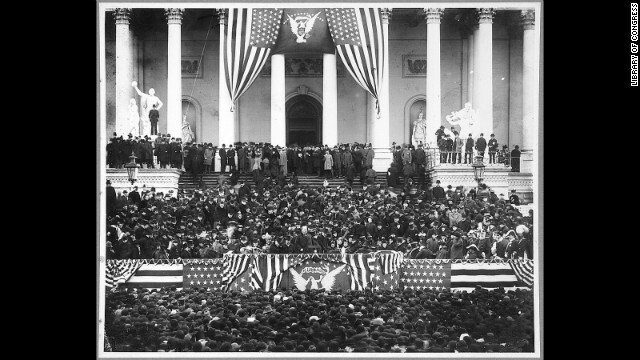 Chief Justice Morrison R. Waite administers the oath of office to James A. Garfield on the east portico of the U.S. Capitol on March 4, 1881. 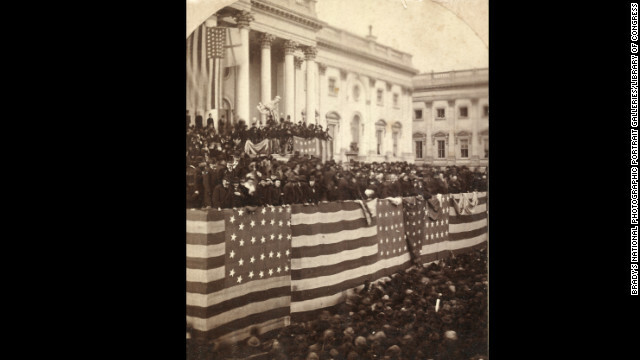 Rutherford B. Hayes takes the oath of office from Chief Justice Morrison R. Waite on the east portico of the U.S. Capitol on March 5, 1877. 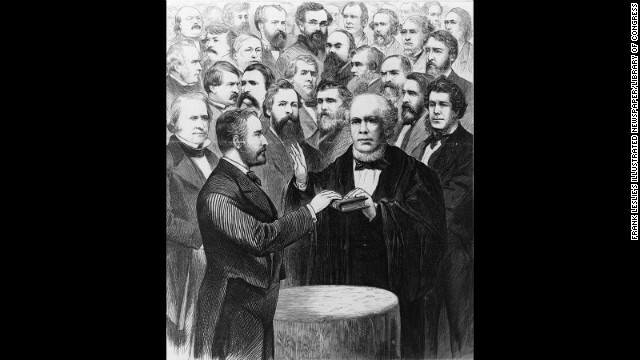 Chief Justice Salmon P. Chase administers the oath of office for Ulysses S. Grant’s second term on March 4, 1873. 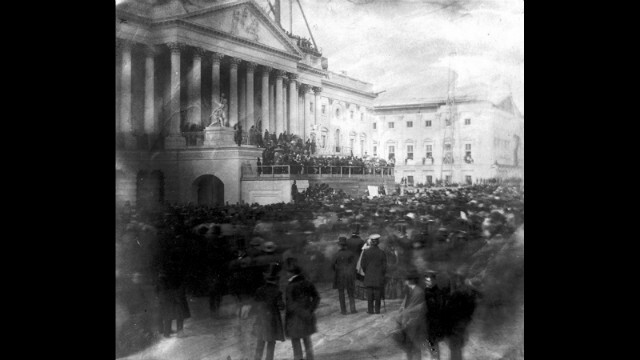 Ulysses S. Grant takes his first oath of office, administered by Chief Justice Salmon P. Chase, on the east portico of the U.S. Capitol in Washington on March 4, 1869. 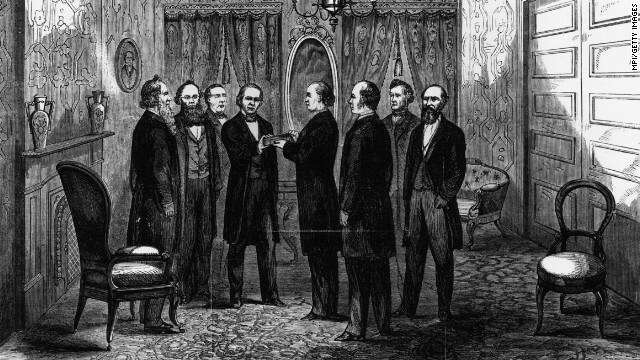 Andrew Johnson takes the oath of office from Chief Justice Salmon P. Chase in Washington on April 15, 1865, after the assassination of Abraham Lincoln. 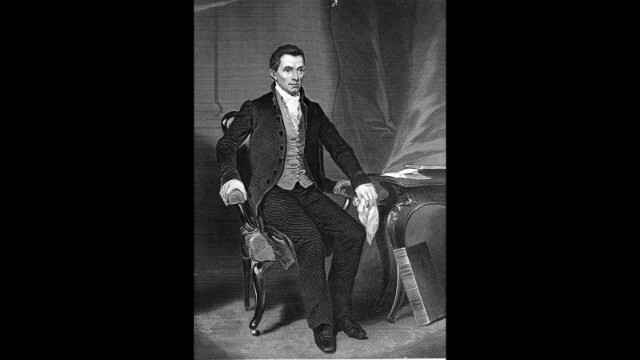 Abraham Lincoln take the oath of office for the second time on March 4, 1865. 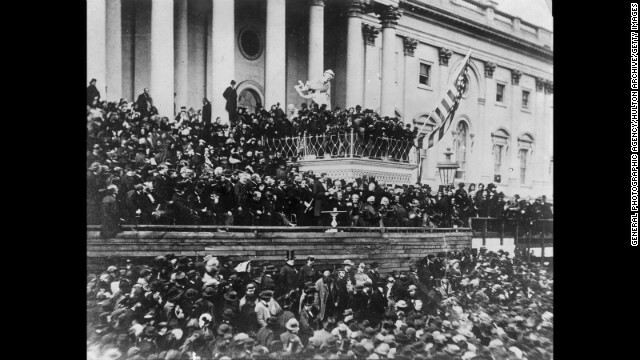 The first inauguration of Abraham Lincoln takes place on March 4, 1861. 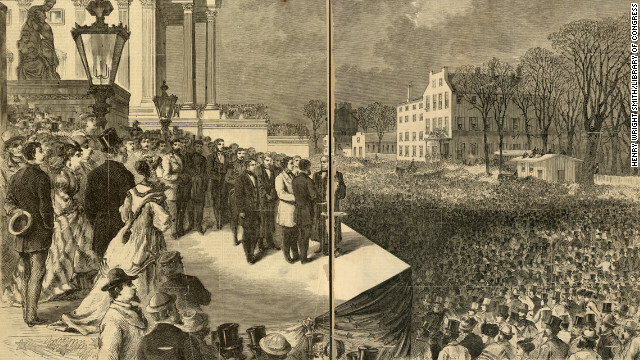 James Buchanan’s inauguration is held at the U.S. Capitol on March 4, 1857. 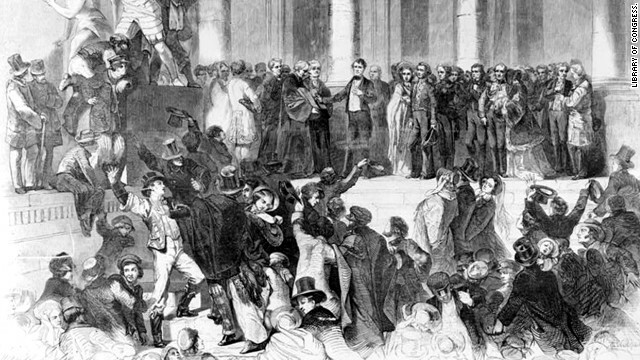 Chief Justice Roger B. Taney administers the oath of office to Franklin Pierce on the east portico of the U.S. Capitol on March 4, 1853. Millard Fillmore was sworn in on July 10, 1850, after the death of President Zachary Taylor. 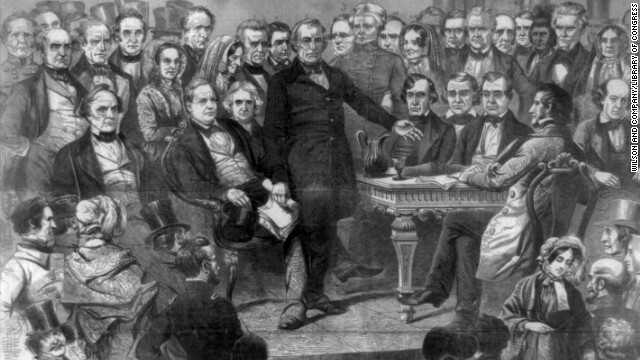 Zachary Taylor is sworn in on March 5, 1849. 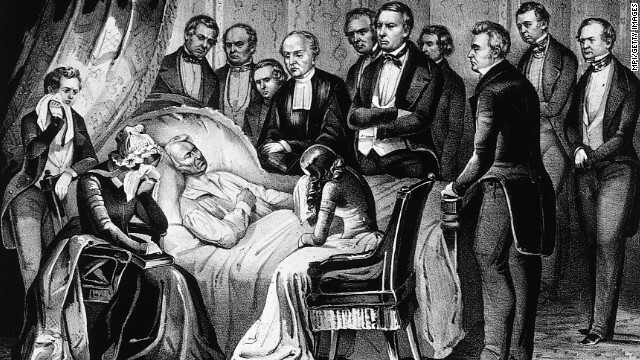 James K. Polk was sworn in on March 4, 1845. 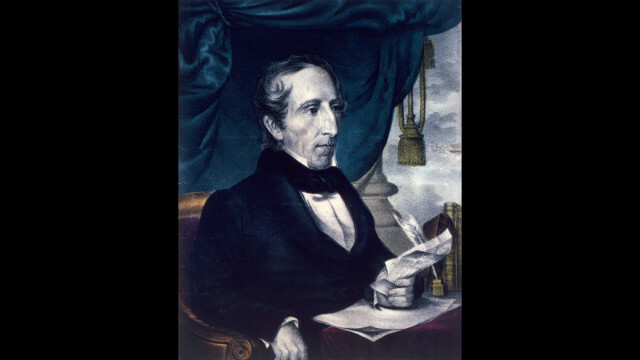 John Tyler took the oath of office on April 6, 1841, after the death of William Henry Harrison, who died after just 32 days in office. 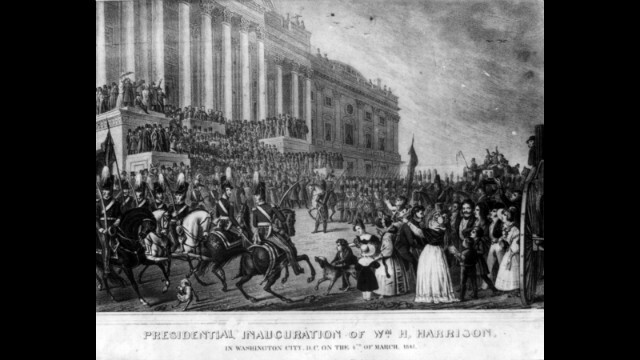 William Henry Harrison took the oath of office on March 4, 1841. 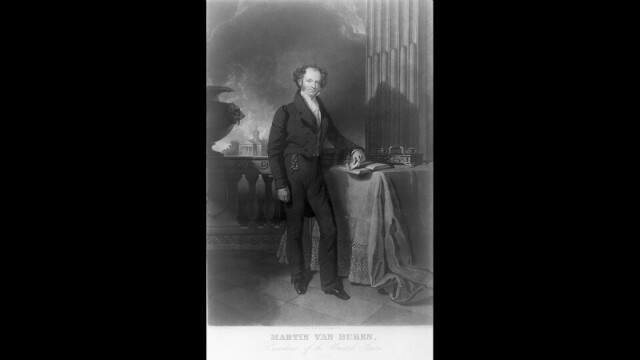 Martin Van Buren was inaugurated on March 4, 1837. 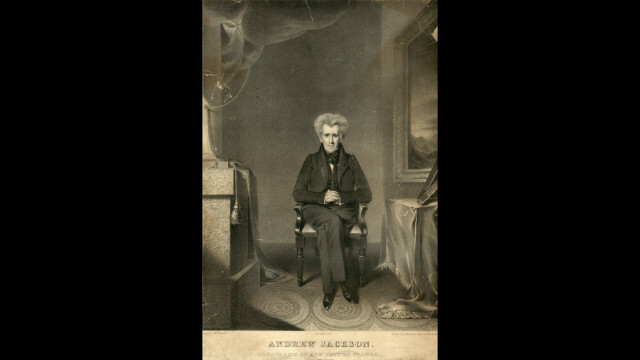 Andrew Jackson was sworn in for his second term on March 4, 1833. 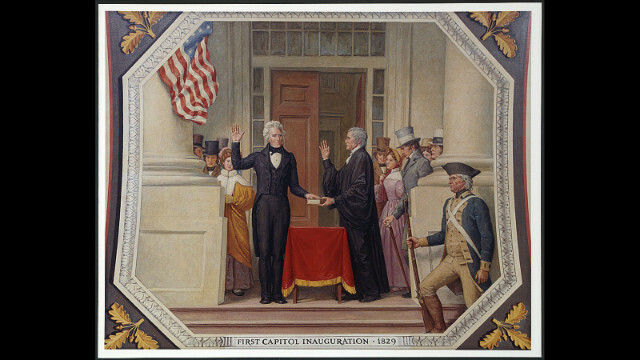 Andrew Jackson was inaugurated for his first term on March 4, 1829, on the east portico of the U.S. Capitol. 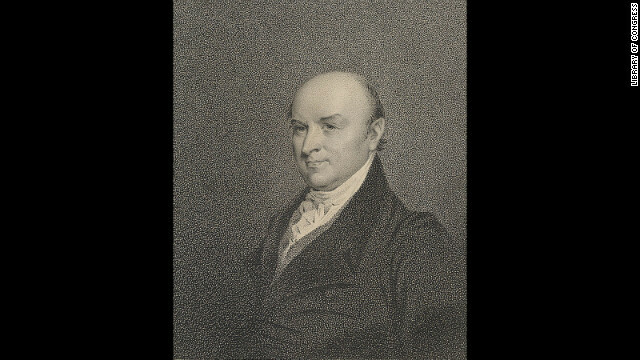 John Quincy Adams was sworn into office on March 4, 1825. 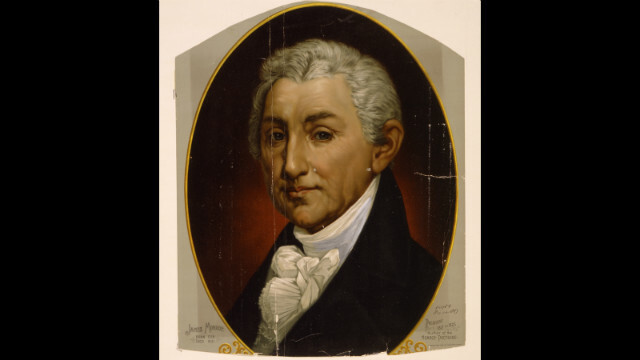 James Monroe was sworn in for his second term on March 4, 1821. James Monroe was sworn in for his first term on March 4, 1817. 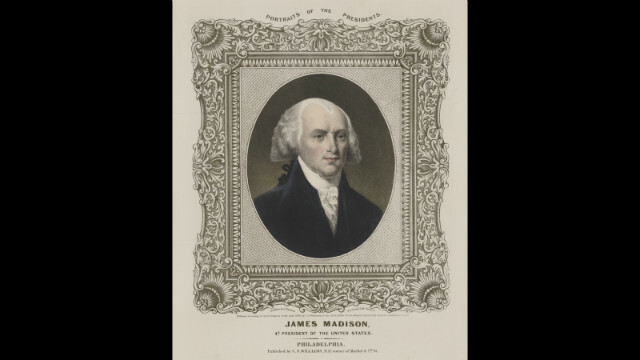 James Madison was inaugurated for his second term on March 4, 1813. 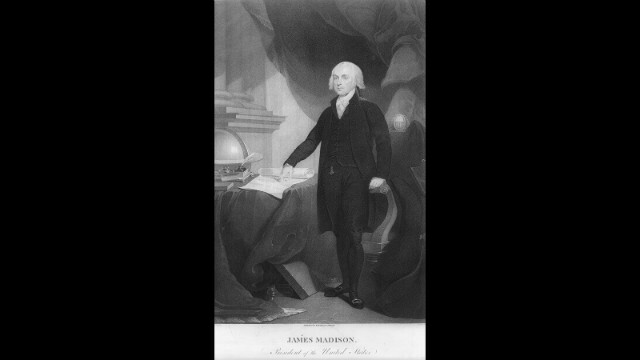 James Madison was sworn in for his first term on March 4, 1809. 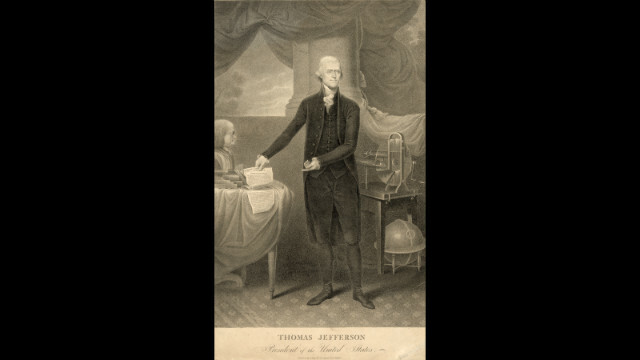 Thomas Jefferson was sworn in for his second term on March 4, 1805. 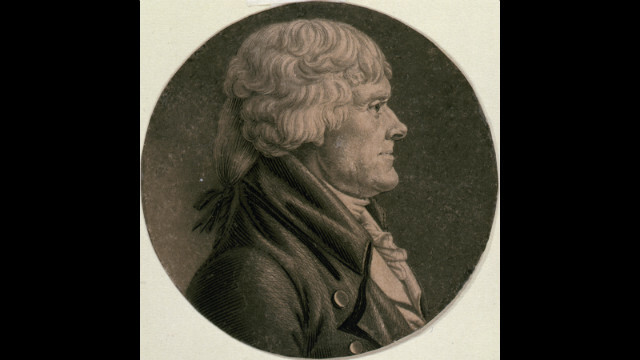 Thomas Jefferson was inaugurated for his first term on March 4, 1801. John Adams was inaugurated on March 4, 1797. 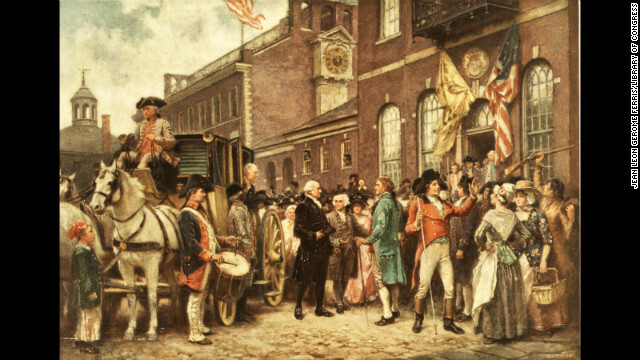 George Washington stands outside his carriage at his second inauguration on March 4, 1793. 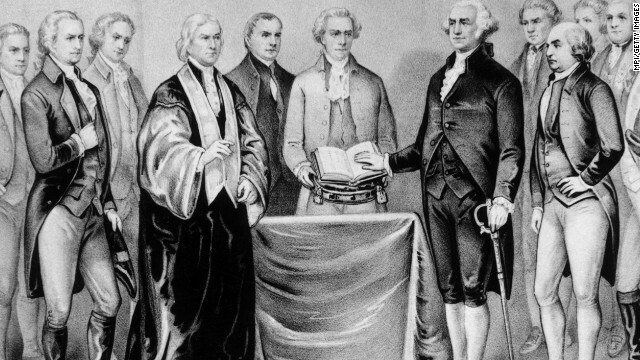 Sword by his side, George Washington takes his inaugural oath as the first president of the United States on April 30, 1789. According to presidential scholar Martha Joynt Kumar, Obama has given 79 pressers during his first term in office. Obama said that his press conference on Jan. 14 was the last one he’ll do until after his second inauguration on Monday. 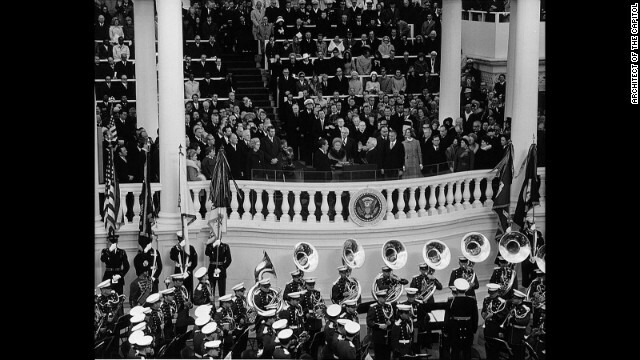 Sixteen presidents before Barack Obama got a second chance at giving an inaugural address for the ages. Most didn’t make much of it…. Indeed, expectations for inaugural eloquence are low these days, giving Obama some breathing room as he prepares for Monday. “Most inaugural addresses are just pedestrian,” said Martin J. Medhurst, a professor of politics and rhetoric at Baylor University. Their function is ceremonial; they lack emotion and urgency. And second inaugurals? Even worse. President Obama and first lady Michelle Obama arrive to welcome Britain’s Prime Minister David Cameron and his wife Samantha Cameron to the White House prior to a state dinner. (Susan Walsh – AP) Northwestern University. “Michelle Obama is a genuine paradox,” said Michel, a professor of African American studies and history at Hine’s lecture, part of a black studies conference at the university last week, argued that the first lady is a “transformative, liberationist” figure — despite her interest in domestic issues and the long list of magazine cover stories focused on topics such as Obama’s approach to motherhood or the importance of healthful eating. “In these days after the tragic death of singer Whitney Houston, authorities cannot be certain of the precise cause of her death at the age of 48. Some suspect drugs played a role, since the singer had a history of addiction. But her death in a Hollywood hotel bathtub just hours before a Grammy party hosted by her mentor, Clive Davis, could also have been an accident. We can, however, be relatively confident of what did not kill Whitney Houston. It wasn’t music that killed her, or singing, or acting, or performing. In all likelihood, it was celebrity that killed the popular singer. “Few artists survive the level of celebrity Whitney achieved without being damaged, and singers seem the most prone to emotional injury in this regard. Houston’s story is similar to those of Elvis Presley and Michael Jackson, both of whom died young and some years into the downslide from their respective career peaks. It is also true that many others, such as Paul McCartney or Mick Jagger, continue to survive such superstardom, or at least are able to manage it. “As shocking as such tragic deaths can be for fans and admirers, however, much of the gossip and scandal of current reports will be forgotten within a few years and Whitney Houston will be remembered for her accomplishments as a singer and actor. As a singer, few have dominated the charts as Whitney did in her prime, and her virtuosic approach to singing has had a significant impact on the development of popular-music history. Houston’s exceptional vocal prowess took control of every song she sang. It almost didn’t matter what the song was; once she began to sing, the focus of the performance was the singing itself. Like musical virtuosi throughout history—Niccolo Paganini, Franz Liszt, Charlie Parker, John Coltrane—there was a sense of wonder at what she could do, an expressive and technical command that astounded as it delighted. “For all that’s been said about Whitney Houston as a trailblazer, her career was in many ways very old school. She was not a singer-songwriter, writing songs that reflected her own thoughts and experiences as so many rock singers have done since Bob Dylan and The Beatles. Whitney was a song stylist, and this is very much in the tradition of Bing Crosby, Frank Sinatra, Elvis Presley or her cousin, Dionne Warwick. Song stylists depend on others to write the songs and the arrangements; a song stylist’s job is to put his or her own personal stamp on a song. Back in the first half of the 20th century, many different singers would record the same hit song; the way to get fans to buy your version was to make the song distinctively yours. Song stylists had a trademark approach to performing and they depended on that to make their mark; nobody, however, expected them to be songwriters, producers, or arrangers. When Whitney sang a song, there was no doubt who was singing. “Whitney was able to diversify her career by making films, beginning with The Bodyguard. Again, this is a tried-and-true approach to help insure a singer has a career after her first wave of success has subsided. Frank Sinatra, Dean Martin, Elvis Presley, Barbra Streisand, and Diana Ross all moved into films later in their careers. Among her 1980s colleagues on the pop charts, Prince and Madonna both turned to films before Whitney. But Whitney’s films were blockbusters, and the songs that went with the movie soundtracks were chart-topping hits. All of this combined to make Whitney Houston one of the biggest stars in the world—a celebrity recognized wherever she went. 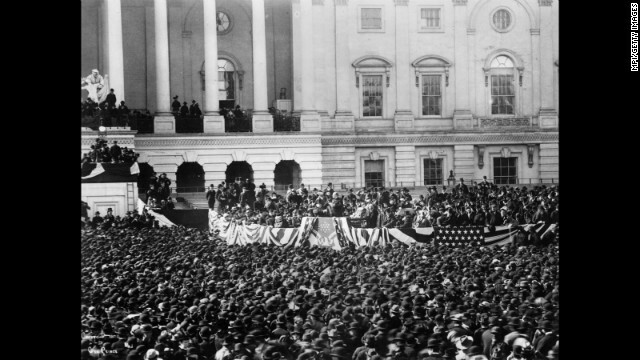 The Occupy Wall Street movement could offer a similar opportunity to left-wing politicians as the Tea Party movement did to the right, says a Vanderbilt University historian. Occupy Wall Street is a continuing series of demonstrations in New York City that has spread to more than 70 other cities. Participants have said they are protesting corporate greed, the influence of lobbyists on lawmakers and general social and economic inequities in the United States. Gerstle was first interviewed about the Occupy Wall Street movement by Salon. The labor movement of the 1930s led to a sharp move to the left by President Franklin Roosevelt and the landslide election of left-leaning congressmen in 1934. That in turn led to legislation allowing workers to unionize, the establishment of Social Security and other social programs and tax increases imposed on the wealthiest Americans. Gerstle compares the current era to the Gilded Age of the late 19th century, when the gap between rich and poor widened and put downward pressure on wages. “The lack of protest is the major difference between the new Gilded Age and the previous version,” Gerstle said. 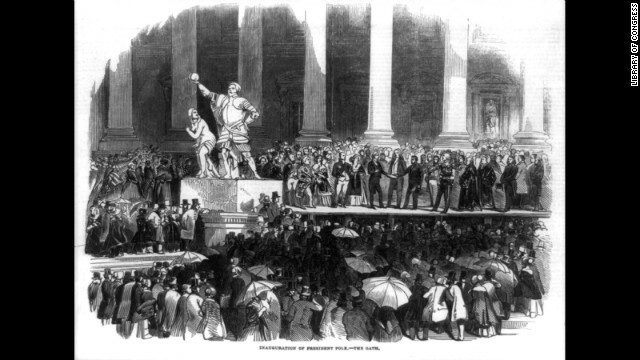 During the first Gilded Age, “the streets were flooded with protest movements,” leading to political change. One of the criticisms of Occupy Wall Street has been the lack of centralized leadership and clear delineation of the goals of the movement. Gerstle said that the earlier protests were just as undefined but still wielded influence in the long run. “This opportunity for the left very much resembles the one created by the Tea Party protests for the right in 2010,” Gerstle said. If America’s Founding Fathers were clear on anything, it was that deficits could not be tolerated, says best-selling author and political historian Larry Schweikart. So what would the founders say about the current economy and crushing U.S. debt? Sarah Palin yesterday insisted her claim at the Old North Church last week that Paul Revere “warned the British” during his famed 1775 ride — remarks that Democrats and the media roundly ridiculed — is actually historically accurate. And local historians are backing her up…. 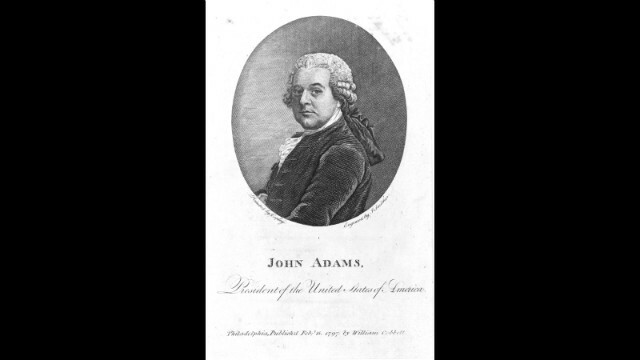 Rick Ungar’s post argues that John Adams supported a 1798 measure similar to health reform’s individual mandate…. It turns out Thomas Jefferson also supported the same measure, meaning it had more support than you might have thought among the founders. Jefferson, of course, is the founder most often cited by the Obamacare-despising Tea Partyers as their intellectual and political forefather. Alexander Hamilton supported the establishment of Marine Hospitals in a 1792 Report, and it was a Federalist congress that passed the law in 1798. But Jefferson (Hamilton’s strict constructionist nemesis) also supported federal marine hospitals, and along with his own Treasury Secretary, Albert Gallatin, took steps to improve them during his presidency. So I guess you could say it had bipartisan support.